Mexican President-elect Andres Manuel Lopez Obrador, known as AMLO. It was a banana-republic act that indeed deserved to be called out by any democratic country – but especially by Mexico. It is Latin America’s second largest nation and historically one of its most important diplomatic arbiters. READ MORE: Mexico's PRI Should Do More Than Lose on Sunday. It Should Leave. 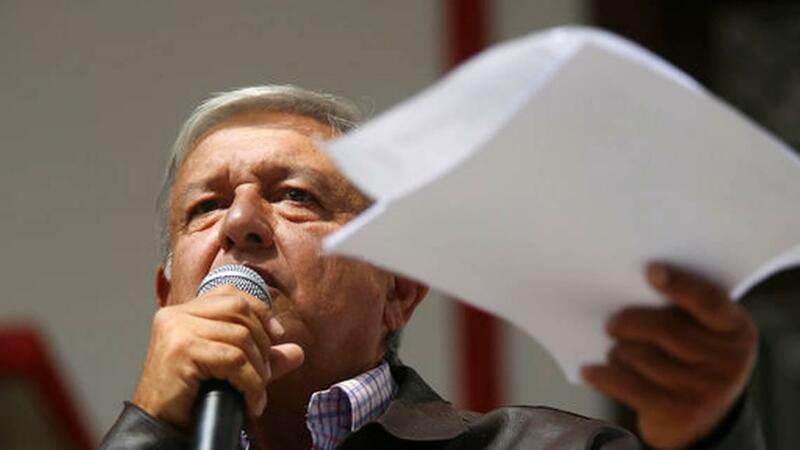 And that’s why López Obrador, who this month was elected President of Mexico, looks hypocritical right now as he refuses to call out another tinpot culprit: Venezuela’s dictatorial socialist president, Nicolás Maduro, who has spent the past five years mounting his own coups against democracy. López Obrador’s foreign relations minister-designate, Marcelo Ebrard, says Mexico’s next administration will follow a “non-interventionist” policy with Venezuela. Meaning, essentially, no public criticism. 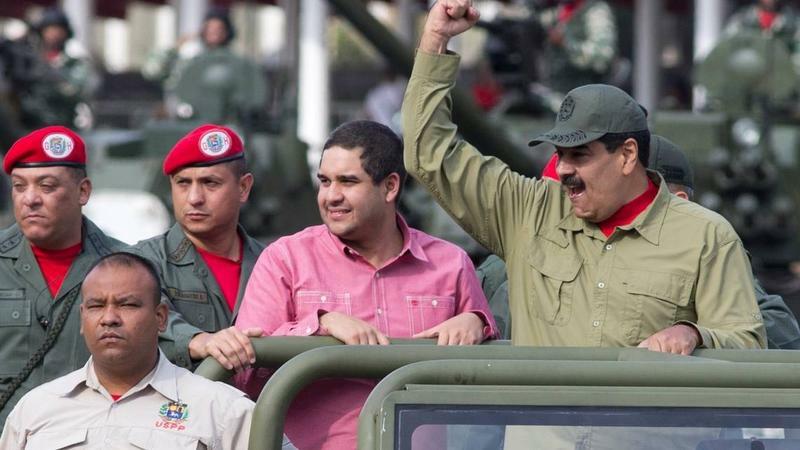 This despite the fact that Mexico’s current government has condemned Maduro’s “authoritarian regime” and has helped lead regional efforts, via the Lima Group, to rally more international pressure against it. In other words, what López Obrador urged a decade ago against the democracy-trashers in Honduras. AMLO's refusal to admit his double standard points up a troubling reality about Latin American non-interventionism: it too often gives the region's presidents a lame rationale for turning a blind eye to despots who share their political dogma. López Obrador insists what he called for during the Honduran crisis didn’t contradict the non-interventionist code he considers a sacrosanct foreign policy tradition in Mexico – one that emerged in the 1900s in response to the U.S.’s chronic and often ugly interventionism in Latin America. But he's wrong. And his refusal to admit the double standard points up a troubling reality about Latin American non-interventionism: it too often gives the region's presidents a lame rationale for turning a blind eye to despots who share their political dogma. And that’s precisely what’s going on between López Obrador and Maduro. López Obrador – a fiery populist known as AMLO – isn’t the next Fidel Castro or Hugo Chávez his detractors brand him to be. He does possess an authoritarian id. But as the pragmatic mayor of Mexico City in the 2000s, he proved he was less controlled by that id than Castro and Chávez were. What’s more, Mexico – despite its remarkably weak rule of law – possesses democratic institutions resilient enough, and citizens moderate enough, to check his more overbearing impulses. Still, Latin America is rife with pragmatic leftists who indulge dictatorial leftists because, frankly, they can’t bring themselves to admit that fellow leftists could be tyrants. Or that, if they are tyrants, it's for any other reason than protecting their people from the beastly imperialistas in Washington. So the fact that an enabler like AMLO is about to take charge of Mexico may not bode too well for Latin America after all, since most of the caudillos who sit in the region’s presidential palaces today are leftists. Maduro in Venezuela. Evo Morales in Bolivia. 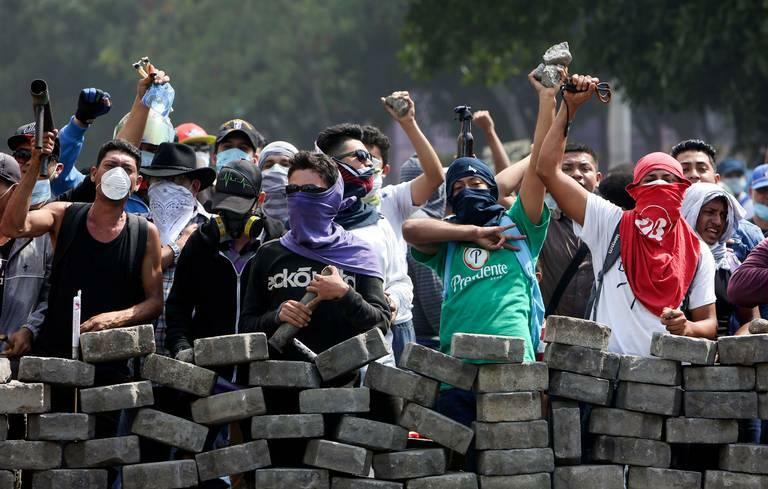 And most brutally, Daniel Ortega in Nicaragua, where human rights groups say pro-regime security forces and paramilitary goons have killed more than 300 people amid anti-government protests that began in April. 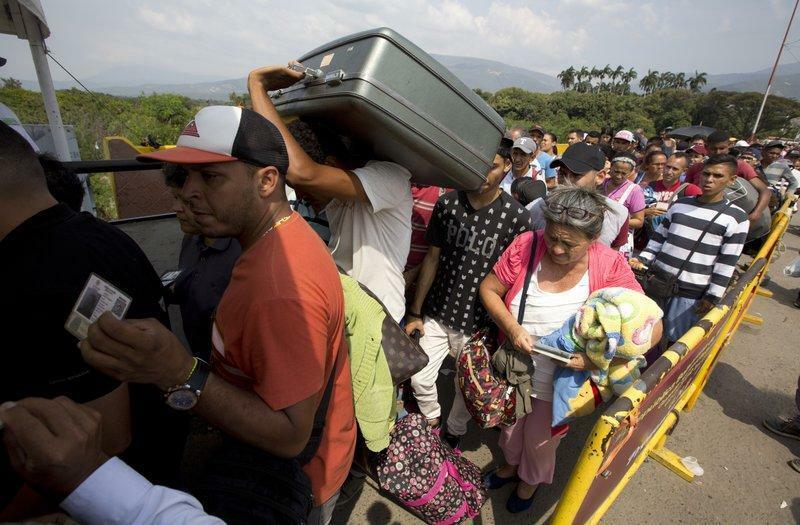 Desperate Venezuelan refugees escaping their country's economic catastrophe cross the border into Colombia this year. If a country as important as Mexico retreats to the non-interventionist sidelines, it lessens the chances of ending those howling humanitarian tragedies – not just the massacres in Nicaragua but the mass hunger in Venezuela, where Maduro also presides over the world’s worst economic collapse today. Ebrard insists Mexico will continue working behind the diplomatic scenes to solve these regional crises. Still, groups like Venezuelan expats here in South Florida are right to be discouraged by AMLO’s posture. When thugs like Ortega and Maduro have decided it’s OK to murder or starve their citizens to keep their grips on power, you usually don’t stop them by chatting in back rooms. It takes speaking up from international platforms. Then again, let’s not forget a big reason AMLO believes he can and should unfurl the non-interventionist flag: U.S. President Donald Trump. According to recent reports, Trump told his top aides last year he wanted to order a military invasion of Venezuela. They talked him out of it, of course. But as long as Trump is reviving right-wing America’s worst foreign policy instincts, AMLO feels justified reverting to the hypocritical on Latin America’s left wing.